All the Things You Are, the title of Reynold Philipsekâ€™s latest release, could also be the title of his biography. 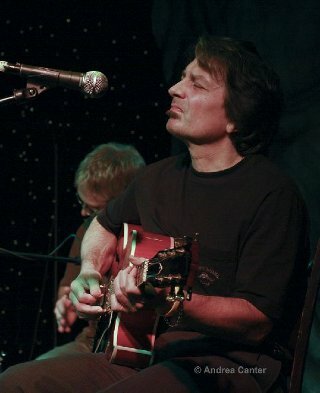 As he states in his liner note, â€œWhen someone has spent an entire lifetime playing an instrument, many of the mannerisms that develop have roots in every episode and memory of a life, and the results produce an added element that goes beyond the notes.â€ In the case of Philipsek, those roots include his Czech and Polish ancestry, a family heritage of craftsmanship, his parentsâ€™ life in rural Minnesota, his own Roman Catholic upbringing, and of course his nearly lifelong commitment to music and particularly the gypsy jazz guitar. All the Things You Are is thus a cross-cultural, cross-generational journey and showcase for 9 new compositions as well as the title track, mostly performed solo (or with guitar/mandolin overdubs), with percussion support on two tracks from Michael Bissonnette and string accompaniment from Caroln Boulay and Dianne Tremaine on another. Philipsek will celebrate this â€œhomage to my ancestorsâ€ on Saturday, July 31st, at the 318 CafÃ© in Excelsior. 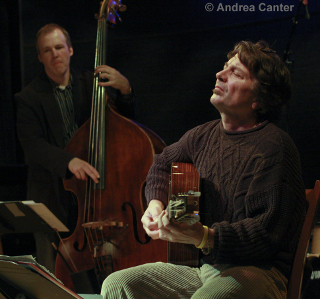 Reynold Philipsekâ€™s recordings have often been solo affairs, but he keeps busy as an ensemble guitarist, appearing regularly throughout the Twin Cities and beyond with the Twin Cities Hot Club, Sidewalk CafÃ©, and East Side, a melding of the musics of Astor Piazzola and Miles Davis, among others. â€œAll The Things You Are,â€ the only standard in this set, strongly hints of Philipsekâ€™s early mentor, Joe Pass, a delicately intricate rendering that fulfills its artistic mission in less than two minutes of graceful sound. â€œBeatnik Pieâ€ could be a modern Django classic, while â€œEdgar Allen Poe,â€ with its eerie, whispery background percussion from Bissonnette (shells? ), nods back to Reynoldâ€™s childhood interest in gothic poetry, â€œwhich, for full effect, I wrote with a makeshift quill.â€ Itâ€™s a very melodic, dark, gentle composition; the music might have been notated with a quill pen! â€œPhilip Marloweâ€ pays homage to a favorite film character in the Raymond Chandler classic, and suggests a melding of Django and Pass had there ever been a meeting of the two legends, with elements of the gypsy swing of the former and the elegant lyricism of the latter. Philipsek closes his journey with â€œKiki,â€ a tune that seems to summarize the entire set, incorporating an East European harmonic, a gypsy (more central European?) rhythmic feel, and an American urgency. Notes Reynold, â€œIt wasn’t my intention to try to recreate Slavic music in a jazz context but to try and embrace everything in my background that makes up the past and use it in a musical way. I feel like it is high time for me to just be what I am in every regard.â€ With All the Things You Are, Reynold Philipsek indeed gives us everything he is, everywhere he has been, and hints at all that he has yet to discover. Copyright Â© 2010 JazzPoiice. All rights reserved.